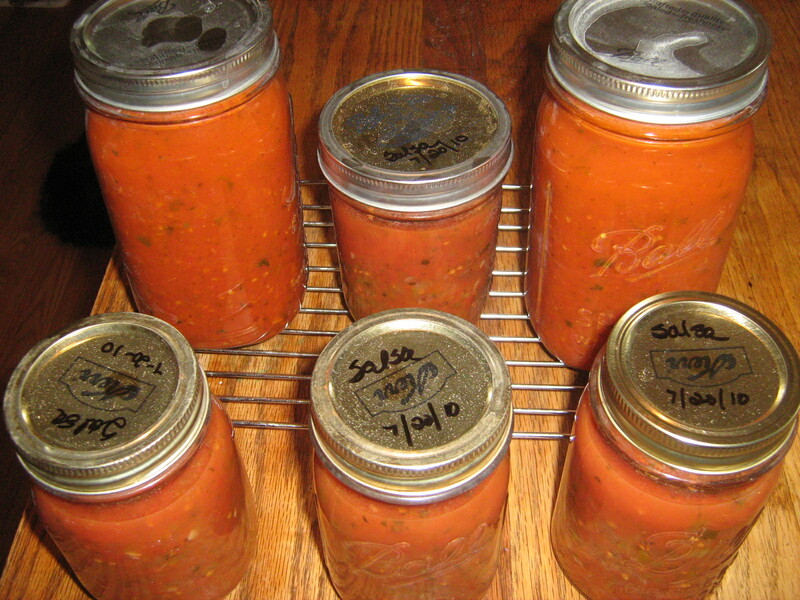 The two most versatile canned sauces are spaghetti and salsa. While spaghetti sauce can be used in a lot of recipes, I find salsa even more versatile. You can use salsa as a dip,salad dressing, a cracker spread, a soup or casserole base, a condiment poured over omelettes, scrambled eggs, scrambled egg wraps, egg salad, any wrap, burritos, pasta, sausages, meats… what can’t you pour it over? Ironically, salsa is very cheap to grow and can. If I could only grow four vegetables they would be: tomatoes, green peppers, jalapenos, and onions. Add one more, garlic, and you are good to grow. If you didn’t plant a lot of tomatoes but want to can salsa, check out your local farmers market to purchase some. Or find a neighbor who is tired of tending their garden and buy theirs. There’s a good chance they will just give them to you, (they stink as they rot on the vine) if you pick them yourself. Can them up and have them ready on your shelf for nearly instant meals. I will share more recipes for salsa based foods.